George Clooney says he will marry his fiancee in Venice, one of the world's most romantic backdrops. The heartthrob actor revealed that he will marry human rights lawyer Amal Alamuddin in the lagoon city in a couple of weeks. His publicist, Stan Rosenfield, said Clooney revealed the venue but not the exact wedding date during at a star-studded benefit evening in Florence on Sunday. Clooney, who owns a lakeside villa in northern Italy, has frequently attended film festivals in Venice, which abounds in ancient palazzi with magical water views. Clooney, 53, and Alamuddin, 36, a Beirut-born British national based in London, posted the required legal notice in Britain last month, declaring their intention to marry abroad, specifically in Italy. It's his second marriage and her first. 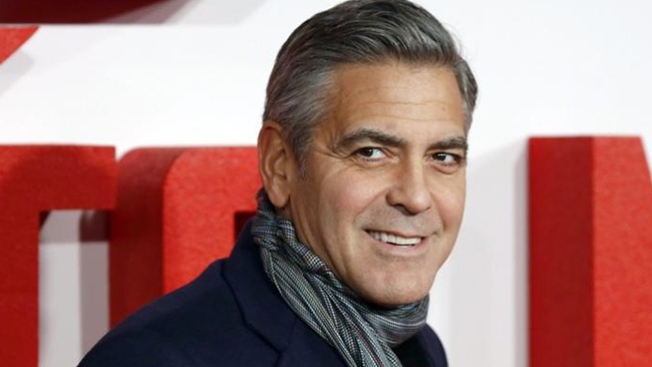 Clooney also told the benefit dinner guests he can't wait to marry Alamuddin. Citing a policy of privacy, Venice city officials declined to discuss any upcoming nuptials.